Microsoft has some kind of streaming service in the works, and reports say the prototype is already providing smooth gameplay on smartphones. Streaming games is a pretty big deal these days. Between Sony's Gaikai technology and Valve's new SteamOS, Microsoft is starting to feel left out - but not for much longer. 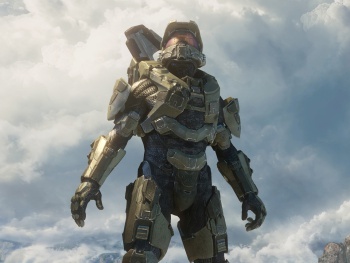 Microsoft demoed a prototype streaming service at an internal company meeting, which reportedly involved smoothly streaming Halo 4 gameplay to a low-end PC and a Windows Phone. The phone (a Lumia 520) was able to play the game using an Xbox controller adaptor with latency as low as 45ms, so this prototype might be further along than you'd think. Microsoft officials say that this service is too early in development to discuss, as it doesn't even have a publicly-released name yet. Still, this progress on a cloud gaming service echoes some of the company's earlier statements about using streaming to provide backwards compatibility on the Xbox One. It seems Microsoft isn't sure how exactly it will put this technology to use - streaming from the cloud to devices as small as smartphones has a lot of potential applications for Microsoft's gaming businesses. The requirement of playing a game on the same machine that's powering the game is starting to look like a thing of the past. Microsoft's goal seems to be low-latency streaming to any Windows device, which could challenge the usefulness of SteamOS if Windows-to-Xbox streaming catches on. It's far too early to say, but the cloud could be getting very crowded soon.